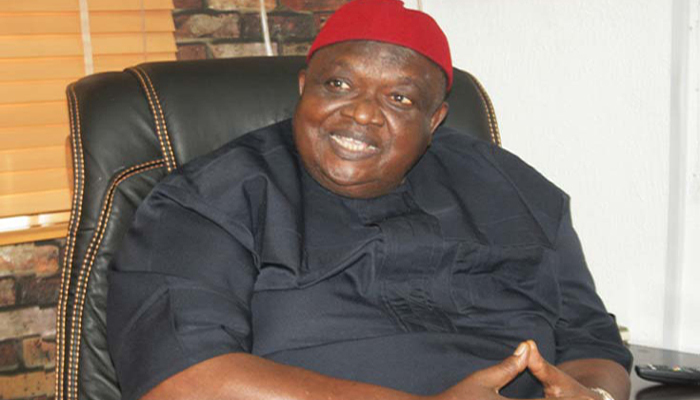 Foremost businessman and member, People’s Democratic Party (PDP) Board of Trustees (BoT), Chief Emmanuel Iwuanyanwu, has admonished the Indigenous People of Biafra (IPOB) to drop its campaign for election boycott in Igbo land next year and seek advice from Igbo elders. He also spoke on how the Igbo could produce a President of Nigeria, among other issues. The recent endorsement of Atiku Abubakar/Peter Obi Presidency by Igbo leaders has elicited diverse reactions; what’s your take on it? Yes, Obi is a person whose credential is excellent. Generally, Igbo leaders have endorsed him, but Ohanaeze has only endorsed Obi and many Igbo groups and the churches have endorsed Atiku/Obi. Anybody that has come close to Peter Obi would know that he is a very honest, humble and resourceful person; a patriotic man. Now Atiku, not every Igbo man is in PDP because Atiku is in PDP, Ohanaeze President General told us that they will meet sometime in January next year; they would now finally decide who to vote for, but I can tell you from all indications, since they have endorsed Peter Obi, it also appears that they would endorse Atiku. But Ohanaeze at the moment has not officially endorsed anybody as presidential candidate, though Ohanaeze is grateful to Atiku for selecting an Igbo person, especially in the person of Peter Obi who is credible to stand in as vice presidential candidate. The Indigenous People of Biafra (IPOB) has called on the Igbo to boycott the 2019 elections; as a stakeholder in Igbo land, does this not bother you? The call by IPOB for boycott of election in the Southeast is strange; you see, these people have not come to have discussion with the elders, if they meet with the elders, we would probably give them advice. In any situation, some people must learn from the experience of the old; I can tell you as I am here now, the IPOB has never come to me for any advice and, of course; you know that I am the “Aha Eji Agamba of Igbo land”. If they come, we would advise them, no doubt that they are having grievances, their leader like a young man, he may say that the Igbo are marginalised, but the way to solve it is not by telling Ndigbo not to go for an election. I don’t think it is advisable; when I see them I will talk to them because people like those of us who suffered during the war, nobody wants to go through that again. So, when we see them, we have to advise them. I will agree that we should restructure Nigeria in the way Atiku has promised the world, I think if Nigeria is restructured it would be better, that is just the point, the younger people are making…; I believe that’s what they want. I will appeal to them that the solution to their problem is not in the boycott of the election; that does not mean that they do not have grievances. In the life of people, they are bound to have problem, but a wise man looks for a wise solution to that problem, and I want them to know that we had leaders like Nnamdi Azikiwe, even leaders like Ojukwu, he never wanted secession, all he wanted was restructuring and when Nigerians refused restructuring; they didn’t have any other choice than to declare Biafra. The Igbo are in Nigeria today, occupying everywhere, the right thing to say now is to restructure Nigeria. You saw it all during the Biafra war, as somebody who witnessed the war, what is your advice to those still agitating for the breakup of the country? My advice to them is to tell them to follow the line of dialogue, but it appears in Nigeria sometimes when they are quiet, nobody listens to them. The Niger Delta had to fight it out before they were able to get concession, in Yoruba land, they were able to get the youths and elders mixed together, Niger Delta, the same, so our youths should be vibrant. During the days of my youth, I was vibrant, if they can get some of our advice, they would be able to use it; we have to sit down and look for options; economic opportunities, there are so many things we have to consider. If we outline all these things; we can equally go back to our leaders, like Ojukwu came back from exile and, he became a politician and, of course, when he died, he was given a state burial, if the Federal Government had done this, I think we should be happy. Would you say that there is hope for an Igbo to become President in Nigeria? I have contested the presidency seriously myself; I did not win, but I continued to be persistent in politics. I continued to show honesty, transparency in leadership and today I am highly respected by Nigerians in the North, South, East and West, they respect me everywhere. We don’t have to be president before we can earn such respect, so that is the point. I am one of those persons who feel we should have our presidency although, and that is why I am talking about zoning. The zoning system today is North and South, I want the zoning to be in the constitution so that it will be according to the geo-political zones, so that it will rotate among the geo-political zones. It is North and South, that is whenever it comes to the South, Southwest can contest, Southeast and South-south can contest, even if they have held the position before. In the South, for example, Southwest has held the position; South-south has held the position. Under normal circumstances, it should be the turn of the Southeast, so I think the Federal Government and the National Assembly should look into this matter; let it rotate according to the geo-political zones, that will be very comfortable for the Igbo because the amount of money and resources required to run for presidency is a lot and they have not been happy out of government, the only people who are lucky are those who have government patronage. The Igbo are known to struggle for their wealth.